Recently, an acquaintance of mine took his polymer defense gun out of its holster to show to a friend and discovered that the pistol’s front sight had fallen off. The sight wasn’t in the holster, his pocket or anywhere else, and he didn’t have a clue when it might have happened. They never found it. All of this tells me a few things; one is that my friend had not been regularly inspecting his personal defense gun and, two, that he didn’t know very much about his personal defense gun. By the time people reach the lawful age to qualify for a concealed-carry license, they should have figured out that man-made stuff is not always as reliable as it might be advertised. In addition, anything that we build is subject to breaking, often breaking at inopportune moments. Quality control issues occur in cars, appliances, communication devices and yes, even firearms. None of this should really surprise you at this point. One of the most important aspects of defensive gun handling is learning your personal defense gun well enough to recognize what could possibly go wrong with it and what you can do about it. An even better idea is to study a particular type of firearm before you buy it, to determine potential problems and decide if those might be a deal breaker. Get a gunsmith or defensive handgun trainer involved, if you need expert advice. Learn to field strip that defensive handgun so that you can give it regular inspections. Learn enough about your particular gun so that you will know what you are actually looking for. You don’t need to become a walking encyclopedia of firearms. However, you do need to know as much as possible about the gun that you choose to bet your life on. So, in my friend’s case, the front sight was held on by a tiny screw that was accessed from inside the front of the slide. Who knew? Obviously, my friend didn’t or he might have considered applying some Loctite to that potential problem. Quite frankly, here was a case of a otherwise smart man buying a gun and strapping it on without learning very much about it and without shooting it enough to identify potential problems. In short, he was playing at personal defense. I am sure I hurt his feelings by accusing him of that very thing. However, he is a good friend, and I’d rather have him around, even with his feelings hurt. Whether he will ever admit it or not, I suspect that this little front-sight episode has taught him a valuable lesson. We are each responsible for our own safety. That means knowing our defensive firearms, knowing what problems might arise and knowing what to do about them. It means that we run as many rounds as necessary through a particular gun to make sure that it is reliable enough to bet our lives on. That’s what defensive gun handling is all about. This post originally appeared in Shooting Illustrated. 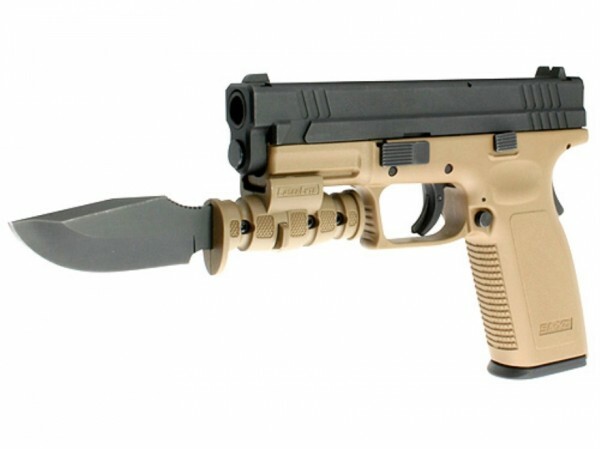 This entry was posted in Gear, Guns, Personal Defense and tagged concealed carry, home defense. Bookmark the permalink.